As an active participant in the Internet Content Filtering industry, Netsweeper embraces affiliations with numerous associations related to the industry, as well as in key market segments where our products and services are of true value to both partners and clients. The IWF is the only authorised organisation in the UK operating an Internet ‘hotline’ for the public and IT professionals to report their exposure to potentially illegal content online. The goal of the IWF is to minimize the availability of potentially illegal Internet content, specifically. Netsweeper is very proud to be an associate member of the IWF. Netsweeper is very excited to announce that our G-Cloud 9 services are now available on the Digital Marketplace. 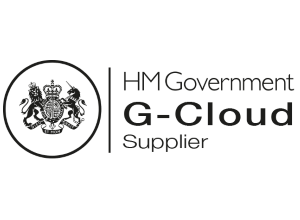 The UK Government G-Cloud is an initiative that provides a simplified procurement process for public sector organizations as a more cost-effective alternative to traditional technology services that use cloud computing, making it easy to use. Public sector organizations can utilize the Digital Marketplace to access services from the three following frameworks: cloud services, physical datacenter space, and digital outcomes digital specialists & user research services. Netsweeper is an approved supplier and the best web filtering choice with the highest-throughput in centralized or distributed deployments. Netsweeper is a low-latency, low-risk web content classification platform that can be delivered at a dramatically lower total cost of ownership when compared to other filtering solutions. The Canadian Centre for Child Protection is a charitable organization dedicated to the personal safety of all children. Their goal is to reduce child victimization by providing national programs and services to the Canadian public. The Canadian Centre for Child Protection operates Cybertip.ca, Canada’s tipline for reporting the online sexual exploitation of children. The tipline has been in operation since September 26, 2002 and was adopted under the Government of Canada’s National Strategy for the Protection of Children from Sexual Exploitation on the Internet in May 2004.
emPSN is a company limited by guarantee and owned by all of our schools and Local Authorities that help supply managed broadband connectivity, e-Safety and IT services to schools throughout the East Midlands. Established in 2000, emPSN was originally known as embc. 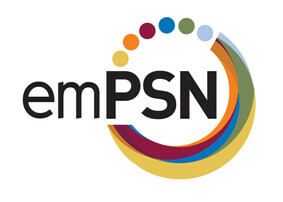 emPSN successfully work with over 1,000 sites to provide a safe, secure and reliable network for schools’ pupils and staff to access the world wide web, the NEN (National Education Network) and a multitude of free resources including Audio Network, British Pathe and Listening Books, all without going out over the internet. emPSN are TECKAL compliant, meaning schools do not need to go through a procurement process before becoming a member and using our services. emPSN can offer schools the price benefits of aggregation and they monitor the progress of all orders, provide updates to schools and deal with any enquiries. emPSN and Netsweeper have worked together since 2015. Netsweeper are service providers on the emPSN catalogue offering internet and email filtering. Netsweeper have access into the emPSN network and can supply emPSN schools throughout the East Midlands region. To find out more about emPSN and the work they do, please visit their website: www.emPSN.org.uk. To contact please email empsn@empsn.org.uk or call 01604 879869. 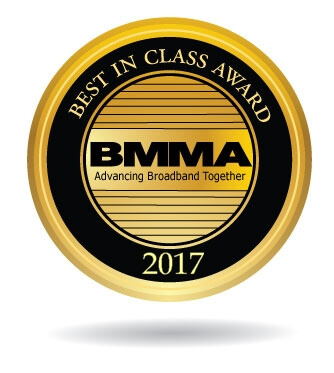 The Broadband Multimedia Marketing Association (BMMA) is a non-profit organization formed to enhance the business prospects of vendors and service providers in the wireless broadband and DSL services (“broadband”) industry. By working together in certain areas, broadband providers focus on growing the industry collectively and create an environment that allows each company to compete for its share of the larger overall market. Formed in 1996, CAIP’s mission is to foster the growth of a healthy and competitive Internet service industry in Canada through collective and cooperative action on Canadian and international issues of mutual interest. CAIP membership comprises of commercial Internet service providers (“ISP’s”) and enterprises interested or involved, directly or indirectly, in the industry of Internet service provisioning. 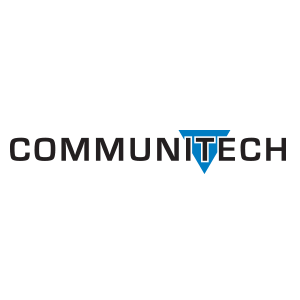 Communitech is a member-based organization driving the growth and success of Waterloo Region’s technology sector through leadership, connections, and promotion. The community association boasts over 350 members including names in the global technology industry, like BlackBerry, Open Text, and COM DEV. Equally as important are the start-up and growing enterprises, the investors, service firms, educational institutions, and governments that boldly support the growth of all business in the community. 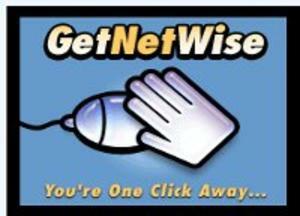 GetNetWise is a public service formed by Internet industry corporations and public interest organizations to help ensure that Internet users have safe, constructive, and educational or entertaining online experiences. The GetNetWise coalition wants Internet users to be just “one click away” from the resources they need to make informed decisions about their own and their family’s use of the Internet. The Information Technology Association of Canada (ITAC) is the voice of the Canadian information and communications technologies (ICT) industry in all sectors including telecommunications and Internet services, ICT consulting services, hardware, microelectronics, software and electronic content. The Internet Industry Association is Australia’s national Internet industry organization. The IIA currently has over 200 members, including telecommunications carriers, content creators and publishers, web developers, e-commerce traders and solutions providers, hardware vendors, systems integrators, banks, insurance underwriters, technology law firms, ISPs, educational institutions, research analysts, and those providing professional and technical support services. Netsweeper is proud to be a member of Australia’s Internet Industry Association. Loadbalancer.org provide highly dependable, versatile and affordable load balancers, developed to improve the availability of critical IT applications. With extensive experience solving application delivery challenges for customers around the globe, you can expect honest advice and outstanding support from the Loadbalancer.org team who truly are experts. Schools and Corporate Parents have a duty of care to provide the children they look after with safe access to the internet without putting them in danger. The challenge is keeping up with the latest threats to devices, APP's and URLs along with unsupervised and excessive content consumption on mobiles and tablets. This can lead to the exposure to in appropriate online content, behaviours that can contribute to negative mental health issues. From addictions to gaming and protection from unsolicited content, Hllo+ Safeguard products assist teachers and parents by enhancing the ability to protect those that need it most. Hllo+ supports you and your curriculum by teaching children how to use the internet responsibly.